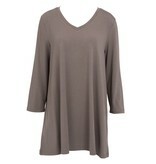 Fast becoming a Mamas favorite, our V-Neck Tunic reflects a polished casual feel. 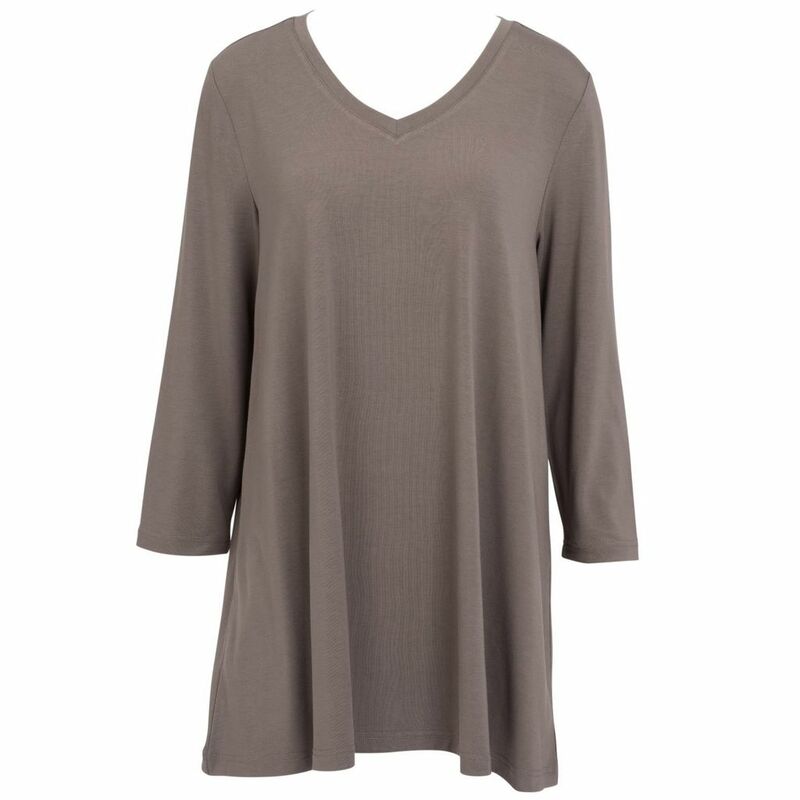 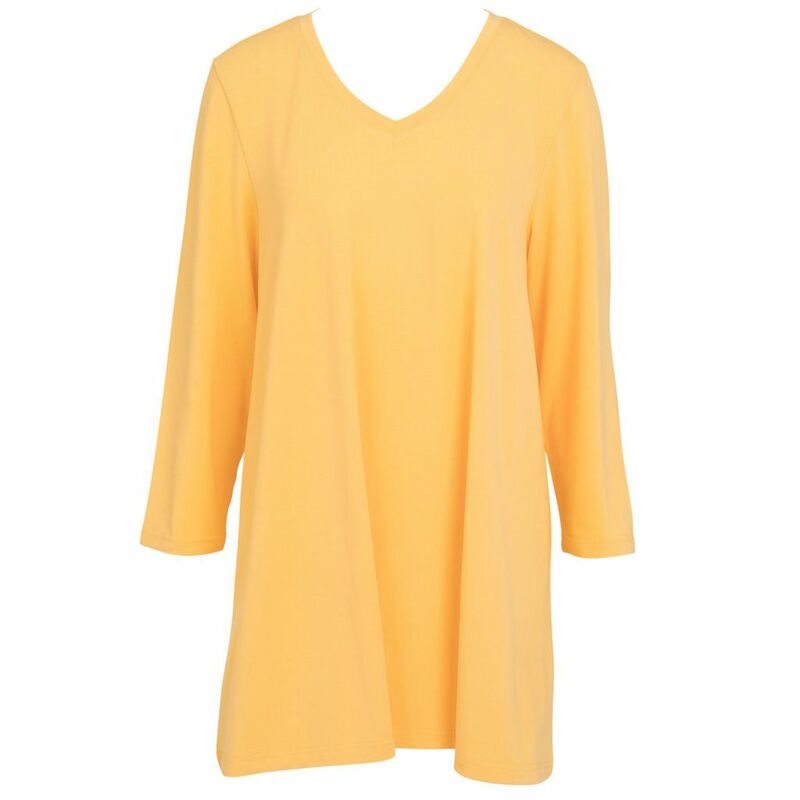 The three-quarter length sleeves and relaxed shape make it an easy fit for all body types. 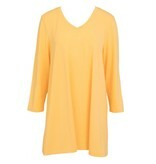 Our new colors are right on trend - we love the Mimosa!